The headline of this post is the kind that might make my regular readers (a thoughtful and intelligent crowd if ever there was one) feel superior to the great unwashed and uneducated who are suckered by such nonsense; we’ve all seen similar click-bait beckoning us, beguiling us to peek at the peep-show of Janet Jackson’s wardrobe malfunction or inflaming our most self-righteous indignation with a deep-state expose revealed by Hillary’s emails and Obama’s birth certificate. You might despair for my descent into headline hell; it’s not my style … Or is it? I might be closer to the “clicky and sticky” approach to communication than you, or I, quite expect, when at my best. The power of making your message so catchy, so inspiring or infuriating or funny and mostly unforgettable, is the theme of Joe Romm’s latest book: How to Go Viral and Reach Millions. As first I began reading, I was a bit disappointed that it wasn’t a rational, logical taxonomy of techniques and their optimization, a la a treatise from the Vulcan Science Academy. But the more I read, the more I realized how wrong I was. It’s not enough to list and illustrate the methods. What is needed is to make his message stick, and by using those very methods he does so, masterfully. I think it dawned on me when I was reading the chapter about repetition. Yes, he didn’t need to repeat the power of repetition again and again and again; I got it the first time, and I’ve always loved the succinct while despising the repetitive. But in a flash, it hit me that because of the repetition I was doing more than learning the identity of the tool, I was seeing it in action, and it was working because even I, devotee of logic and lover of the laconic, was getting it. To hit the bulls-eye I didn’t just need to know the tool, I needed to feel it, and Joe Romm made that happen by repeating the power of repeating the power of repetition. And I realized that I had used that very tool to great effect in some of my best posts. When I asked How Stupid does David Rose Think You Are? I not only used that phrase as my title, I included six repetitions of the phrase in the post itself. The result is that it not only stuck, it not only drove the point home, it attracted attention. Media outlets pointed to it, while David Rose and his cadre were unable to resist the temptation to respond, repeatedly, giving me half a dozen more chances to hammer home the point. I wonder if his defenders ever wised up to the fact that their attempts at defense kept the “David Rose thinks you’re stupid” story front-and-center far longer than was good for them. Perhaps they’re just not too bright. I also came to realize the power of knowing the rhetorical ploys even when you don’t use them. When I greatly embarrassed Anthony Watts his supporters turned out in force to defend him, mainly by changing the subject to something they could criticize. Recognizing the misdirection, I responded to each such comment by beginning: “I quite understand why you want to change the subject, which is: …” Doing so not only laid bare the emptiness of their “defence,” it provided yet another opportunity to repeat the actual subject at hand. If you’re thinking that those aren’t my best posts, a week ago I would have agreed with you. What I love is hard science, and my best were either educational (after one such post I swelled with pride when a reader likened the style to Asimov) or new science (more than one post has led directly to a publication in the peer-reviewed literature). I now realize that those are what I love to do, but what I most want to do is persaude people to take global warming seriously enough to make it their #1 issue in the voting booth. Correcting temperature time series for exogenous factors and exploring the intricacies of Fourier analysis, don’t do that. As much as they inform and inspire, they do not persuade. I too often feel that I’m preaching to the choir. Of course I’ll still put hard science here. I can’t resist. But I’m now contemplating how I can actually reach those I don’t usually reach. As distasteful as I find the whole “clicky and sticky” approach, denying its effectiveness only pigeonholes me as purveyor of a “boring” blog which repels those I most want to attract, often by going way over their heads. To paraphrase one of Romm’s chapter titles, don’t bring a surgical scalpel to a gunfight. … the Grand Unified Theory of virality, is that from the dawn of language through today, the most viral messages have always been stories told with the figures of speech, which trigger key emotions and stick in the memory. Don’t just learn the essential idea. Buy the book. Read it. Put it to good use. Then get others to read it. Those of us who find languages rather easier than mathematics already understand the importance of repetition for driving a point home, hence the Latin proverb “repetitio est mater studiorum”. In neural nets, repetition reinforces the pathways between neurons (for those that have more than one). Piotr Wozniak had a good system for remembering something – the secret after learning something is to remember it just before you would normally forget it. The duration of retention increases after each recall so that after the 4th time it should be pretty much permanent. But if you use rhetorical techniques in a paper it quickly gets dismissed. This is rammed home time and time again, so scientists stay away from rhetoric. Using different language for different groups is a skill few master well. Well done. There are different rhetorical techniques required for scientific papers, and they generally service a different aim, clarity, rather than persuasion. I guess you may choose not to classify these as “rhetoric”, which has some pejorative connotations, although they are still rhetorical techniques. How about starting a new site? Is there something between realclimate and skepticalscience that could use a platform? You could have specialist contributors and a site map for visitors. Then it’s not just one guy on a blog, it’s a web site. That may get more views, traction etc. Surely if the message is not right it is not needed to promote it in this way. Similarly if it is right those people capable of understanding it will do so without the repetition. Once you become addicted to the concept of selling it could become a case of anything goes. Anyway, best of luck with promoting your themes and ideas. Need to know what #3 is! You offer a parsimonious hypothesis for why educated 21st-century Americans are verbigerating “global warming is a hoax” out loud in public. At the same time, in reviewing Joe Romm’s new book, you discern “What Is To Be Done”. By the evidence, your regular commenters are indeed more likely than US voters overall to be Vulcan Science Academy members, yet in the overriding pragmatic scope, the science of AGW is settled. 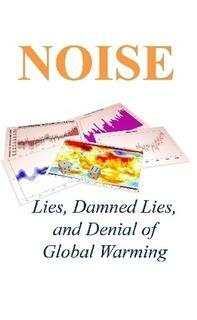 It’s now ineluctable that AGW is a proximate consequence of the economically-driven (i.e. anthropogenic) large-scale transport of fossil carbon to the atmosphere, and that capping the rise of GMST short of global tragedy requires collective intervention in the ‘free’ market for energy (free, that is, of targeted collective intervention in private transactions), to internalize a fraction of the marginal climate-change cost of fossil carbon emissions and drive the buildout of a carbon neutral global economy. I, for one, have made no secret of my support for a US national revenue-neutral Carbon Fee and Dividend with Border Adjustment Tariff. Again from a pragmatic PoV, however, effective efforts to decarbonize will presumably resemble E. Ostrom’s description of ‘polycentric’ action at multiple levels of governance. Probative documentation exists, sadly, of an opposing long-term re-investment campaign by the ‘Koch Club’ (while of course it’s not just Charles and David Koch, they are suitable figureheads) of a fraction of their combined fossil-fuel revenues to protect the rest, by flooding the public sphere with professionally-crafted bespoke science denial in order to delay collective decarbonization. IMO, the KC’s best ROI has been to persuade US voters by just such techniques as you describe, that pseudo-skeptical inferences from fake facts and faulty reasoning are as ‘true’ as any peer-reviewed scientific findings; and that climate scientists, who but for a few transparently motivated pseudo-skeptics are only in it for the gold, are all enlisted with superhuman discipline in a two-centuries-long secret plot by superhumanly foresighted yet entirely self-serving shadowy masterminds, for mysterious but obviously nefarious ends. How can the unrelenting din of more-or-less specious for-profit AGW-denial in the public sphere be overcome, so that collective action can occur to decarbonize the global economy short of global tragedy? Now, Joe Romm’s scientific credentials are worth something to many of us. He clearly understands, OTOH, that neither more rigorous scientific practice, nor a more politically powerful culture of Science, are the keys to capping the warming in a realistic time frame: that goal inescapably involves politics. I recognize that we’re all geeks here, but I hope the better socialized among us (sorry, but Facebook scares the sh*t out of me) can launch an effective counter-flood of truth on all media channels, even if only by exhaustively-referenced excoriation of climate lies when you see them. Although we’ll never outbid the Koch Club, let’s further consider helping to pay for communications expertise, by contributing to an existing non-profit public information organization, or even recruiting principled information professionals for a new one. Face it, my friends, appeals to sweet reason aren’t getting the job done! It has a bearing on the topics on which Romm touches, and it’s an important message to keep in mind when pushing back against those who use the psychology of language to contaminate the understanding of science, and fact, and truth with subjective emotion and lizard-brain knee-jerks. Some journals provide more detailed guidance to authors. The best papers in mathematics go about the repetition in another manner, but still build a story. So, quite seriously, read the Winnie-ther-Pooh books and then the two Alice books by logician Dodgson. Then write your paper or essay after once again rereading “The Elements of Style” by Strunk & White.